Listen to the discussion about what the presenters would do if they found a wallet in the street and find out the answer. ሎሚ ብዛዕባ ገንዘብ ክንዘራረብ ኢና፡ ወይ ብፍላይ ድማ፡ ንበል ኣብ ጽርግያ ገንዘብ ዝመልአት ማሕፉድ ወይ ፓርተፎልዮ እንተ ትረኽቡ እንታይ ኰን ምገበርኩም? ምወሰድኩምዎዶ ምመለስኩምዎ? ብመሰረት ኣበዚ ቀረባ እዋን ነዚ ሕቶ’ዚ ንምምላስ ብመጽሄት ሪደርስ ዳጀስት ዝተኻየደ መጽናዕታዊ ፈተነ ክንደይ ካብኦም ከም ዝምልሱ ንምርኣይ፡ 12 ማሕፉዳታት ኣብ 16 ከተማታት-ዓለም ብፍላጥ ተደርብየን ተረኺበን። ኣበየነይቲ ከተማ ዝነብሩ ሰባት እቶም ዝቐንዑ ኰይኖም ተረኺቦም ይመስለኩም? What would you do if you found a wallet full of cash - $1,500 to be exact? Would you return it? A recent incident in California might surprise you. A teenager was seen on surveillance footage returning a wallet with $1,500 inside. 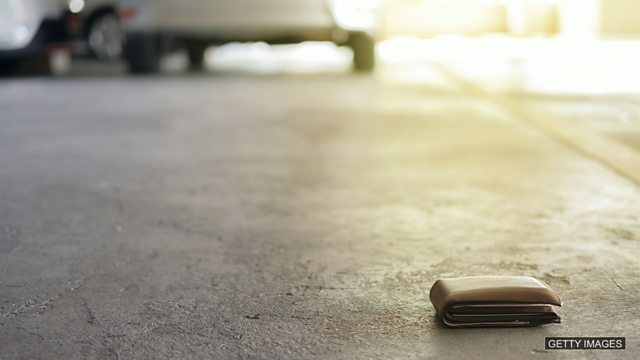 It happened outside a home in California after the young man found the wallet filled with $1,500 in cash and credit cards in the driveway of a neighbour’s home, proving that there are still good people out there. Yeah, it is! I’d be absolutely devastated if I lost that amount of money! Absolutely! ‘Thrilled’ ሕጉስ-ፍንጭሕ ምባል ማለት’ዩ። Yes, what a relief! ሕራይ በሉ፡ ሕጂ ነቲ ኣቐዲምና ሓቲትናኩም ዝነበርና ሕቶ ደጊምና ንርአ። ካብ’ዘን ዝስዕባ ሰለስተ ከተማታት፡ ኣየነይተን እያ ዝያዳ ቅንዕቲ? be very upset by something. I was devastated when I lost all my money. I was devastated when I heard that the school was going to close. be very sad. We often use this to talk about romantic love. I was heartbroken when my wife left me. I was heartbroken when my family pictures got deleted. I was ecstatic when I got the job. I was ecstatic when my team won the cup. be very happy and excited. I was thrilled when I went to China the first time. She was thrilled to be singing in front of a crowd. All of these adjectives express a strong feeling - for example, 'devastated' means 'to be very upset by something' - and are called extreme adjectives. If we want to make the feeling of extreme adjectives even stronger, we can use adverbs such as 'absolutely', 'completely' and 'totally'. I’d be absolutely devastated if I lost that amount of money! When they got it back they were probably completely thrilled. You can feel totally heartbroken. You can also use the adverb 'really' with extreme adjectives but, be careful, you cannot use 'very'! What would you do if you found a wallet in the street? What if someone found your wallet in the street? What should they do? Tell us on our Facebook group.